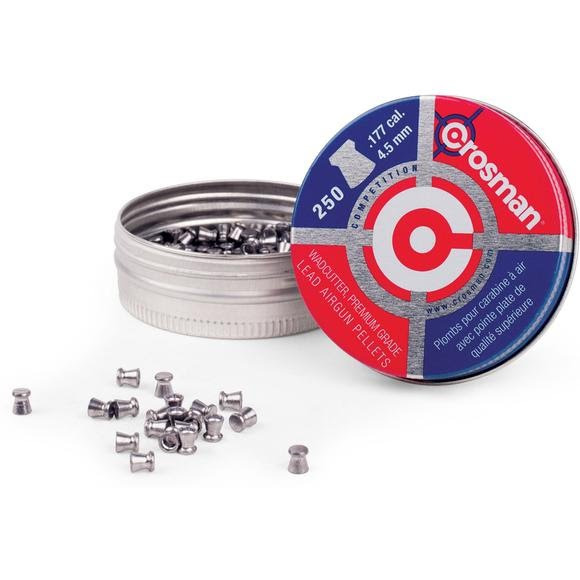 Wadcutter pellets are ideal for paper targets. The flat nose punches a crisper, rounder hole in paper targets, for easy scoring. 250 Wadcutter pellets in a tin.